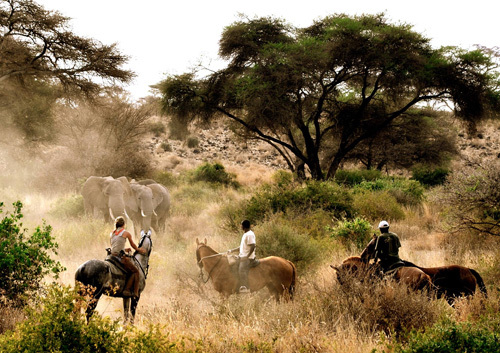 Throughout July and August experience the Kilimanjaro Elephant Ride (it is called an Elephant Ride because a great chance to see lots of elephants on this great 8 day horseback adventure), with great opportunities to see elephants, buffalos, plains game, leopards and much more. Please request the full itinerary. Save £990 per person, now only £2978 per person plus government fees and taxes of £760 p.p. (normally £3968 plus government fees and taxes of £760 p.p. ), this includes first night lodge accommodation (at Polo Club), 6 nights camp accommodation, meals, drinks, private guide, horse and riding (4-6 hours per day), flying doctor membership, Wildlife Department fees, village fees, Arusha National Park fees and government taxes, all transfers as per itinerary. Gratuities are left to discretion. Request full Itinerary. Flights from £1179 per person.